Anglian is one of the largest double glazing installers in the UK and with over 50 years of experience in the industry. However, if you’re investing in double glazing or new doors, you want to know that you’re choosing one of the top companies available. Insurance backed guarantees mean your doors and windows are protected no matter what. Anglian is consistently rated as one of the top double glazing installers in the UK, offers more Energy Savings Trust endorsed windows than any other installer, and has a lowest priced guarantee. Anglian was founded in 1966 as Anglian Windows. The company manufactured single glazing, and then began to sell it in a showroom. Later, they began selling PVC window frames and products. While they originally only offered windows, the company was purchased by British Electric Traction in 1984 and expanded its range to include conservatories, doors, and glass overlay. At this time, Anglian first began to install double glazing, and was a founding member of the industry, even helping to establish the current existing FENSA standard. 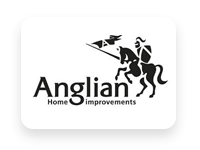 In 1999, Anglian rebranded as Anglian Home Improvements to reflect their larger range of products. Today, Anglian is one of the largest providers of double and triple glazing, doors, frames, conservatories, roof trim and cladding, and porches. Anglian is among the top five largest double glazing companies, and has one of the largest ranges of offerings of any competitor. Anglian is a leader in the double glazing space because they manufacture, sell, and install all their products. This allows the company to control every step of the process to provide a uniform quality experience. Pricing – Anglian typically charges in the mid-to-high range for their windows, but they do offer a combination of a quality insurance backed guarantee and quality double glazing. However, there are several things to be aware of. The following include Anglian’s average pricing for a 60 x 90 cm window. Installation Scope – How big are your windows, how much work is the installation, do the installers have to repair wall? Does your home require scaffolding to install windows? Windows – Some windows cost more than others. Authentic sash windows can run thousands of pounds each. Material – The frame material you choose will greatly affect the cost of your windows. Anglian offers a number of inexpensive UPVC frame options as well as more durable wood and aluminium. Salesperson – Your price may depend on your salesperson and how well you bargain for a good price. Anglian does require a deposit upfront, but this rate depends on the size of the project. Price Match – Anglian offers a price match system for uPVC windows, which means that if you find a lower price on your doors and windows from another installer, they will match the price. This can be very convenient, but will mean getting an inspection or survey from multiple companies to get the best price. Anglian Gold Account – An Anglian Gold Account offers financing for 8-15 years with financing provided through the Hitachi group. Anglian’s finance scheme allows you to make flexible payments, pay your loan off more quickly, and allows you to only pay interest on the due balance. Anglian charges 3.8% per annum fixed with a representative 23.7% APR. 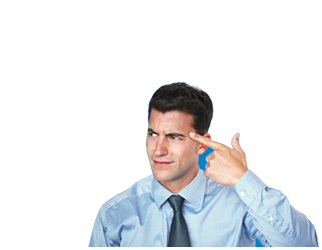 Anglian Cancellation – Anglian typically provides a 7-14-day cancellation or ‘cool down’ period in which you can cancel the project and retain your deposit. However, some people have difficulty getting their deposit back as Anglian often attempts to deduct costs of paperwork, the sales visit, etc. from the deposit. Anglian Sales Team – Anglian has a reputation for aggressive sales tactics and unfortunately this is true. Anglian pays their sales team on commission, which means that they only make money if you make a purchase, and the more you pay, the more they earn. This can lead to some unscrupulous sales tactics to get you to sign as quickly as possible so that you pay more. Don’t sign anything same day. You legally have up to 2 weeks to decide on any quote. Any “Ends by 5 PM” quote is not a good deal. Know what you need. Having a good understanding of the doors and windows you need, and double glazing costs before the salesperson comes to inspect your home will allow you to get a better deal because you know what it’s worth. If you can tell the salesperson the material, window style, and other details upfront, you’re much more likely to get a good price. Get quotes upfront. Free tools like our quote comparison service will allow you to get competitive quotes on your project so that you have a good idea of what you should pay. Our service sends you the top 3 quotes from installers in your area so that you can pick the best, but it will also give you a ballpark estimate of what you should be paying for your project. Compare your options. Make sure you get at least three quotes and compare their pricing, what they offer for the money, etc. Anglian does use pressure tactics and they have been known to use unscrupulous sales tactics. It is crucial that you take the time to review your offer to ensure that you are getting a great deal before you sign the contract. Anglian Warranty – Anglian’s warranty or guarantee policy is one of the best in the industry. The company offers extensive insurance backed warranties on all its products. The Anglian Guaranteed Insurance Scheme is Anglian’s FENSA certified insurance scheme. The scheme costs £42.40 and insures your installation for 10 years. However, all doors and windows are covered by the free insurance backed guarantee on all their products. This insurance policy is administered by GGFI, a subsidiary of the Glass & Glazing Federation, and underwritten by Red Sands Insurance Company. This ensures that even if Anglian goes out of business, your doors and windows are still eligible for partial or complete repair, rebuilding, or rectification in line with the Anglian guarantee. The additional Insurance Scheme is extended protection. Anglian also offers extended guarantee options, although the cost changes depending on the product. Double Glazing – Anglian is one of the largest double glazing installers in the UK and they manufacture, sell, and install all their own products. By manufacturing their own glass, Anglian is also able to provide a very large range of products and styles made to measure, bespoke for each home. Quality – Anglian manufactures top quality double glazing, window frames, doors and other products. Anglian on BBC Watchdog – Anglian Home Improvements was featured on BBC Watchdog in 2010 for failing to repair customer issues. They have since fixed this issue and now work with the Glass & Glazing Federation who can broker disputes. Overall, Anglian provides high quality installations at an industry competitive price. However, you may pay more for Anglian products upfront if you don’t work to reduce your rates. Your best option is to research what you need, decide on windows and frames, check costs, and then compare your options to get the best deal. Anglian is one of the largest double glazing installers in the UK, and one of the best, which makes them an easy choice no matter where you live in the UK. If you’re ready to install double glazing, use our free quote comparision tool to find and compare the top 3 quotes from the best installers in your area. We request competitive quotes from 5 star rated double glazing installers in your area and send you the top 3 so that you can decide. There’s no obligation and it’s completely free.